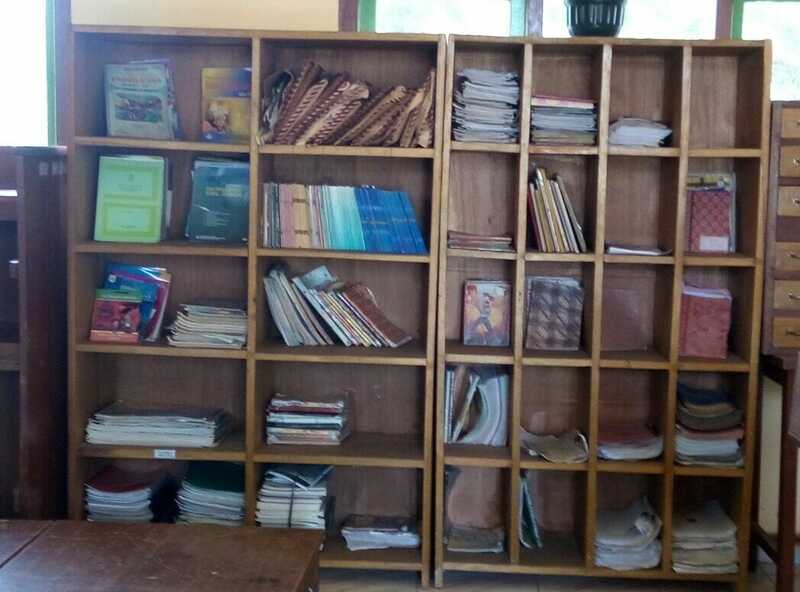 Mr. Wasit has been teaching Bahasa Indonesia and being head of library at SMP (Junior HS) Negeri 30 Wirotho Agung for 5 years now. He leads project at school for School Literacy Movement (GLS) where the school needs to provide reading corners around the school. This is a national program to encourage students to read more at least 15 minutes everyday at school. SMPN 30 Wirotho Agung is located in the highland near forest and plantation area. 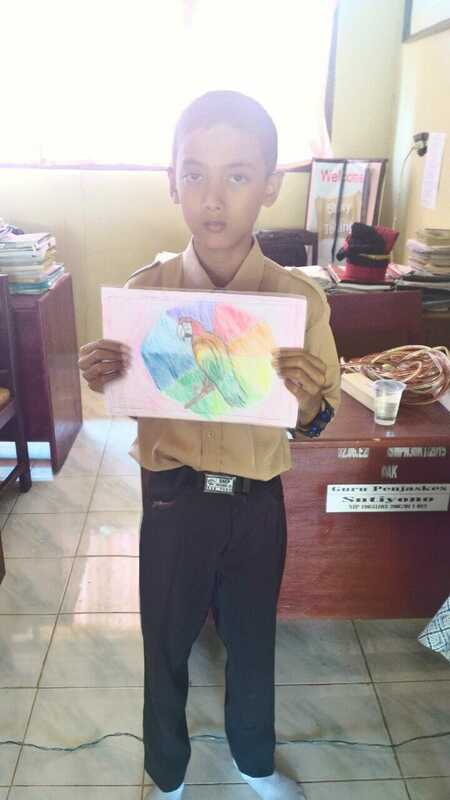 As Adiwiyata school, Environmentally friendly school, they have environmental conservation program in their school area. Planting trees, gardening, and farming sweet potato, water spinach, ginger, lemongrass etc behind each classroom. Mr. Wasit also promotes technique called Bio Pori, which is to dig hole in the land diameter 20cm to burry dry leaves and organic waste. Local people are working in farming or palm oil plantation. The community also has environmental program such as waste management. They separate between organic and non-organic waste. Local government also already organize the garbage collection in the community area. They also provide garbage shelter. However, they have one huge environmental issue: deforestation. Some people burn the forest for palm oil and rubber plantation. 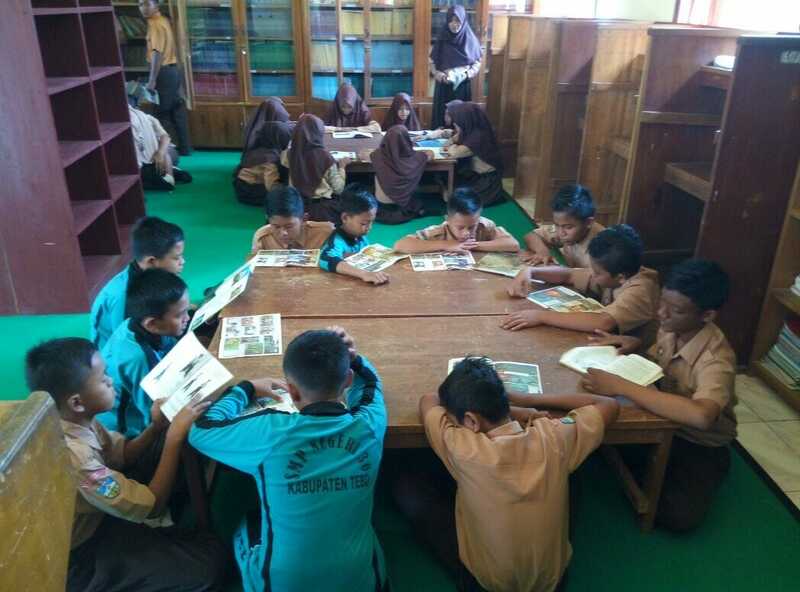 With eco-education program, Mr. Wasit hopes to continue their environmental programs at school and in the community and to raise the awareness of the dangers of deforestation.